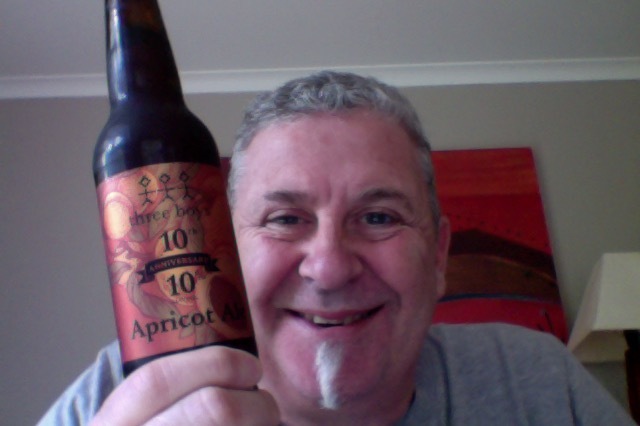 Three Boys 10th Anniversary Apricot Ale. A proper fruit beer by any other name and fitting that as I get close to the end of the journey to 1,000 beers that I’ve got a renewed enthusiasm. Also it is vinyl Sunday and I’ve gone a cracker from Queen. This is in a 330ml bottle, it’s tiny really, of a beer that is 10% ABV, a big 300 calories, and that all means this is 2.5 standard drink units in NZ. We brewed this beauty back in 2016 (somewhere around our actual 10th anniversary) using apricots foraged from the vacant Red Zone properties in one of the valleys. This warming brew has a gorgeous lingering ripe apricot flavour which balances with the layers of soft tartness and big malt body. This one bottled 03 March 2016, so it should be ripe. Apricots are front and centre on opening, very fruity. Quite sweet but not as sweet I expected, it’s not syrup sweet it is sugar sweet though. 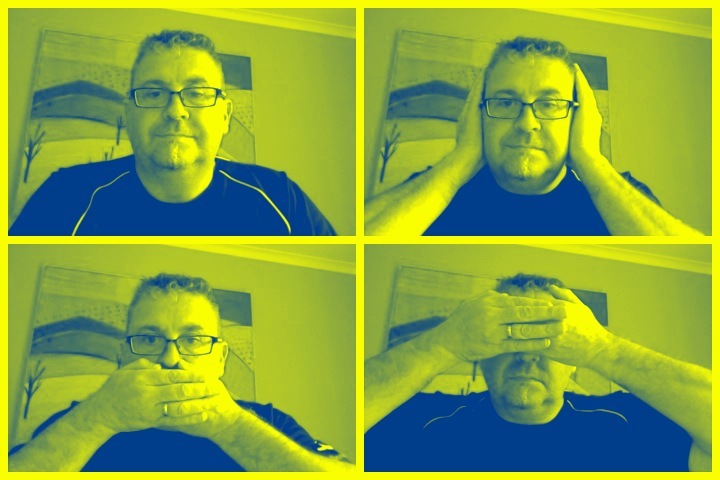 A hint of bitterness that develops into something harsher as it washes over the tongue. The apricots note appears somewhat lost now though, I think I was looking for something more syrupy. Not a hint at all of any of that alcohol in here, no tang, no sharpness. I like that. A small bottle of brilliance and a properly good Fruit Ale. If anything this could do with more bite and chew in the body, a fuller experience, but then that’d be just enough to get this not the 10 list, and this is n’t quite there, so so close. As it turns out this is a beer that you have to sip to make it last both sides of the album , there’s not a lot of it, and it’s easy to drink. The pdubyah-o-meter rates this as 9 of its things from the thing. This is just a shade under the 10, a fuller body and more apricots nose would have had me drooling and rushing to shops (tomorrow) to get another. It looks lovely, drinks lovely, hides that alcohol and gives no hint of it, and I thought it was worth all the beer tokens I swapped for it. Where did I get it? The Local Liquorland, but it’s not going to last long. Would I share with a friend on a porch and set the world to rights? Yes, totally, this is a great beer, it’s easy enough to start with and there is nothing that will wreck you for the next beer. Tastes is even and familiar with hints and notes of the special things. A Night at the Opera is the fourth studio album by the British rock band Queen, released on 21 November 1975. Couple of stand out tracks including the Bohemian Rhapsody that you might have heard of. 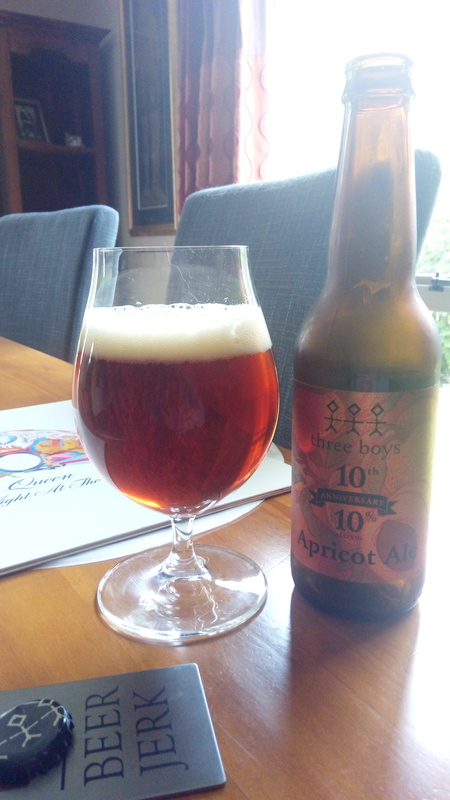 This entry was posted on August 6, 2017 by Philip Walter in Beer, Beer of New Zealand, Beer Review, Brewed By, Craft Beer, Critic, Fruit Beer, Three Boys and tagged Barley Wine, Bohemian Rhapsody, Christchurch, craft beer, Queen (band), Three Boys 10th Anniversary Apricot Ale, Three Boys Apricot Ale, Three Boys Brewery.